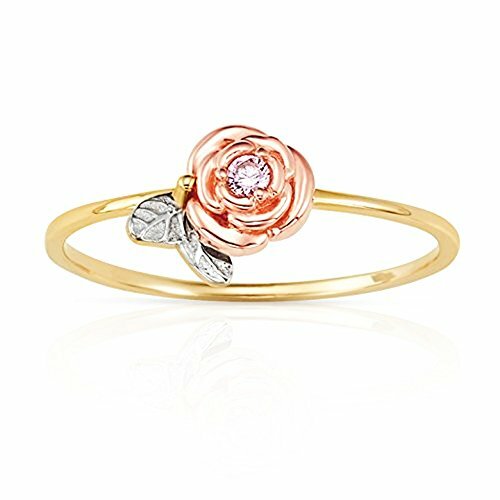 ★GOLD FOR GOOD: Made from solid 14k yellow gold, this Single Rose with Pink CZ Center Stackable Promise ring is perfectly suited for women and girls. This timeless design will add elegance to any outfit. ★NOT JUST GOLD: While the solid 14k yellow, rose and white gold is impressive on its own, the CZ will dazzle all, making this ring perfectly suited for day or evening wear. ★THERE IS NO WAIT: Delivered FAST, this Single Rose with Pink CZ Center Stackable Promise ring gets to you quickly so you can start wearing it when and where you want.